Sign language is a powerful tool for helping young children who are late to talk and have difficulty understand others to communicate. In fact, the research tells us that sign language is not only easier than spoken language, it actually helps facilitate the emergence of verbal communication in children with language difficulties. This is contrary to what is logical. You wouldn’t be blamed for thinking that teaching a child to sign would replace the need for verbal language, preventing it from emerging. In actuality, what we find is the opposite, that children who learn to sign talk sooner. It also helps children develop their understanding of language a whole lot faster. Sign language is still language. For children who are really struggling with the verbal and auditory processing components of language, signing can be a powerful and meaningful means to practise and strengthen the rest of their language skills. 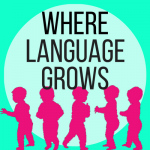 This means that while they are working on developing the skills that might be lagging, other language skills are not falling behind as a consequence of disuse. Another benefit to using sign language that we should not forget is that it gives your child a means to communicate with you. For many late talkers, the inability to communicate their needs and wants can be so frustrating. Being able to tell you what they need to tell you is so much more important than the exact method they use to tell you. There are no real rules for which words to start with when signing. The word ‘more’ is a common one that many Speech Pathologists begin with, as it’s easy to sign (in American Sign and Auslan at least) and is communicatively powerful. Some prefer to start with words that are of significant interest to the child. For example, for a child who is obsessed with Thomas the Tank Engine you might start with the sign for ‘train’. Choose whatever makes sense to you and your child, but do make sure that the sign is not to physically complex for your child’s motor skills (i.e. simple hand shapes and movements are ideal). Where to find the signs? In Australia, AUSLAN is our native signed language. Luckily for us there are lots of wonderful resources available to help us learn signs. The AUSLAN Shop at Deaf Australia has some awesome books and kits help teach yourself and your child to sign. There’s even a Key Word Signing App that has lots of common signs for you to search, collate and even print. 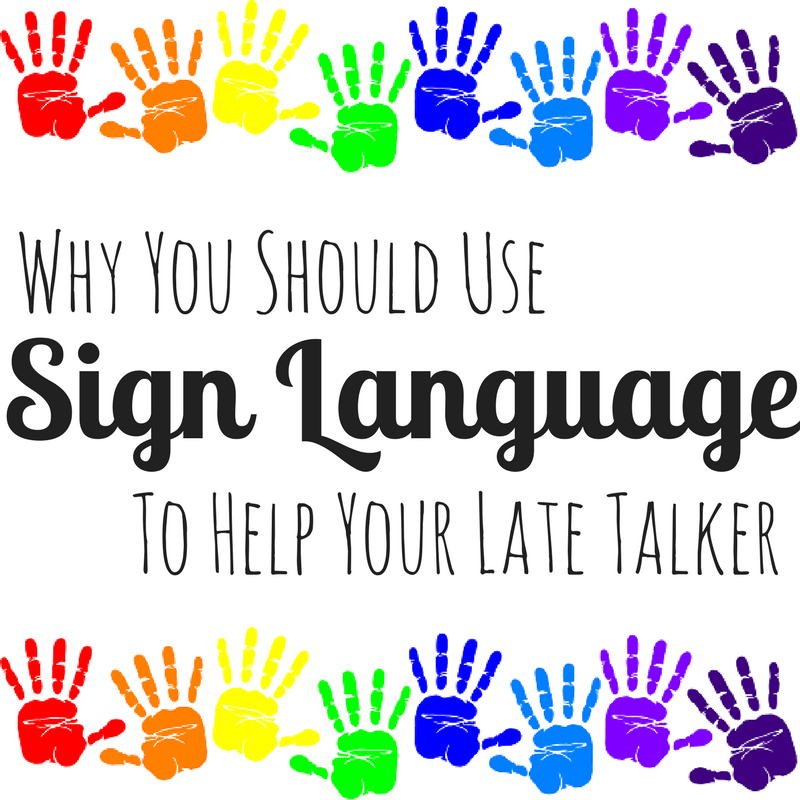 Laura Mize from Teach Me To Talk has a really thorough post on sign language that will help you get started, including techniques for teaching the signs. She also has another fantastic post with some great suggestions for early signs to teach. Katie Yeh from Playing With Words 365 has a round-up of her posts on signing, where you’ll find all the information you’ll need to get started and more! Now all that’s left to do is pick a sign that makes sense to you and your little one and get signing. If you found this post helpful and want more, be sure to sign up to our newsletter. You’ll find the sign up box in the column to your right.